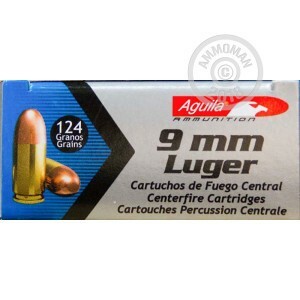 This 9mm Luger ammunition is an inexpensive target load that fires a balanced 124 grain full metal jacket bullet with similar ballistics to many popular defensive rounds. 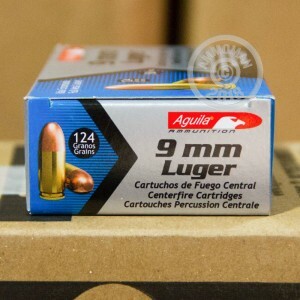 Aguila ("Eagle") ammo is manufactured in Mexico by Industrias Tecnos, a major supplier to the Mexican military and to customers around the world. 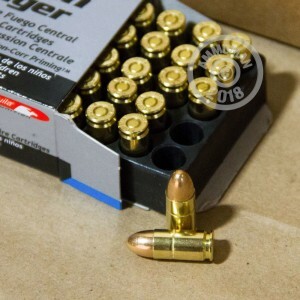 Their ammunition uses non-corrosive Boxer primers and brass cases. 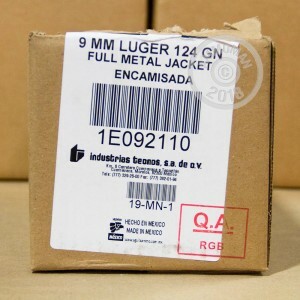 Place an order for $99 or more today at AmmoMan.com to qualify for FREE shipping!